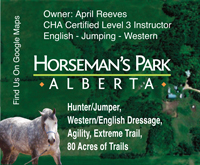 Most of the barns I travel to breed horses, and keep a trainer and several exercise riders. 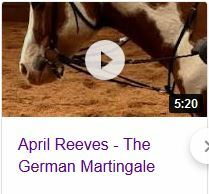 I am always struck by the concept of riding just for riding sake: to keep a horse in shape and not deteriorate from 23 hours in a stall and paddock. Most exercise riders move in a constant state of riding the rail around and around. In my world we call this the loser’s loop, where riders have no goals or desire to achieve anything but exercise. Sometimes, if there are jumps or obstacles in the arena, they will move around them, but otherwise, there is not a shred of training in any of this. My question is, what is the point? 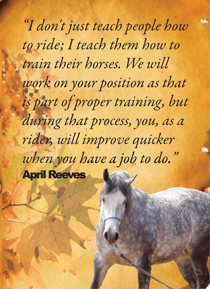 And it is the very reason every horse on my farm has a field to run freely and self-exercise as he needs to. And every ride has a purpose.